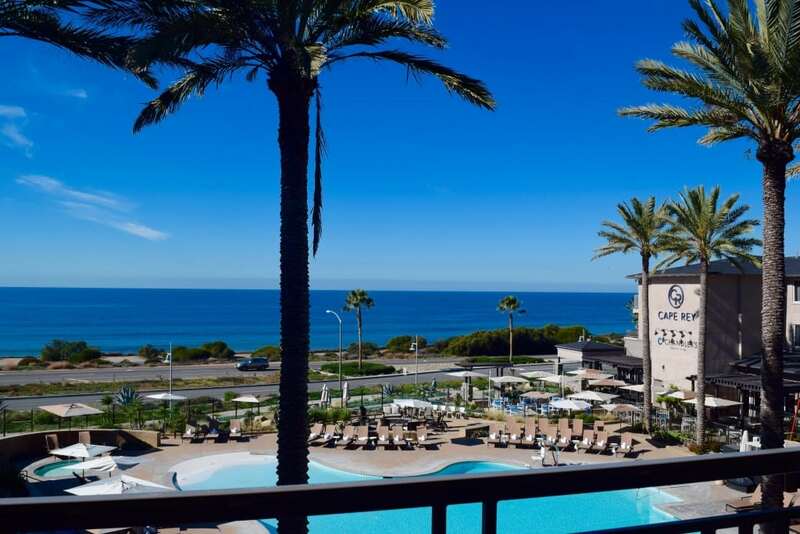 Any time is a good time to escape to Cape Rey Carlsbad, a Hilton Resort in Southern California. The ocean is right across the street so ask for a room with the view and take the opportunity to walk down the wooden steps to feel the sand between your toes. The motif throughout the boutique hotel is ocean with bubble lamps and beach scene photos by renowned artist Aaron Chang, a local and friend of the resort. All the locals love to gather at their ocean front Chandler’s restaurant where new chef Teri McIllian is also an artist. She plates her creative concoctions like a canvas. The Porcini Dusted Diver Scallops appetizer could be a meal for us all by itself. 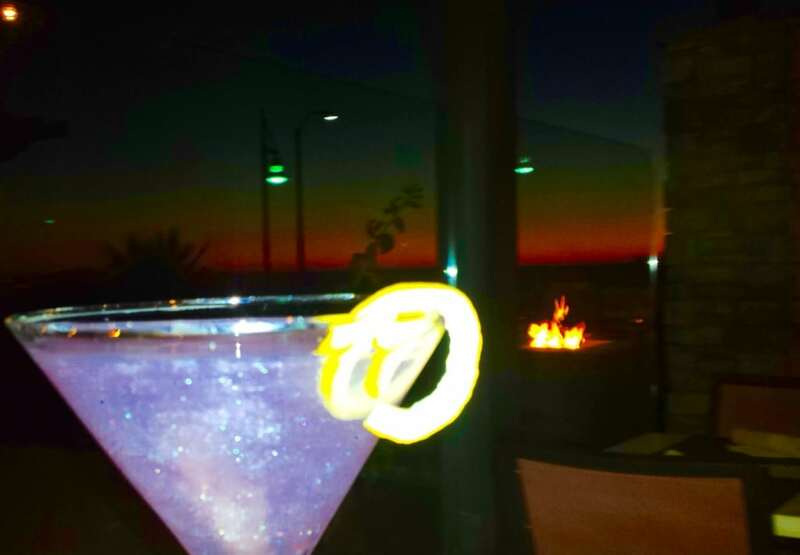 The Starry Night signature cocktail is concocted with Absolut Mandarin Vodka, Viniq Liqueur, lemonade and prosecco. It actually does sparkle like a starlit sky and produces a tingly feeling mixed with the ocean view and flaming heat lamps. 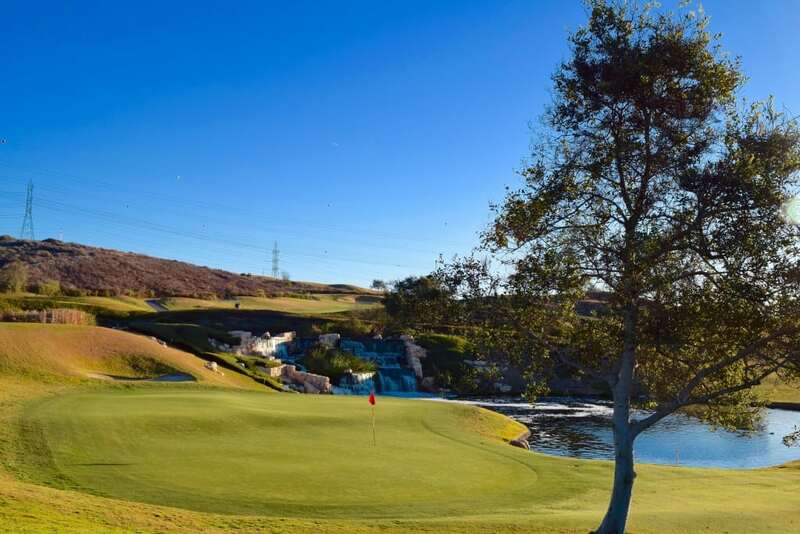 Say “Good Morning Pacific!” at The Crossings at Carlsbad, a golf club with lots of cautions, mainly for the downhill cart speed. Wisely constructed are the wood guardrails, just in case the ocean distracts from the miles of up and down scenic terrain crossing over highways. Crossing above are planes from the Palomar Airport. On number 7 golf balls must cross over a greenside pond with spectacular waterfalls. Worthy water excursions include kayaking at Carlsbad Lagoon with the egrets or whale watching expeditions during the winter months. Relax poolside, in the Jacuzzi or on your balcony at Cape Rey and you may glimpse one from there. If not, the boats and surfers will entertain. Spa & Romance Package. Starting at $520 per night, the package includes a bouquet of roses, chilled bottle of champagne, 50-minute couple’s spa treatment, romantic dinner for two in Chandler’s Restaurant and a rose petal turndown. Couples can then customize their own getaway by adding one of the hotel’s favorite local adventures just for two including Cape Rey Sunset Beach Picnic, Love Potions from Chandler’s Bar, Scenic Bike Tour, Be Dazzled By Diamonds at GIA Museum, Biplanes for Two or of course Golf at The Crossings. For reservations and more information on romantic coastal adventures, visit www.CapeRey.com. The high quality experience led by top management who hail most recently from the Grand Del Mar is worth every penny.